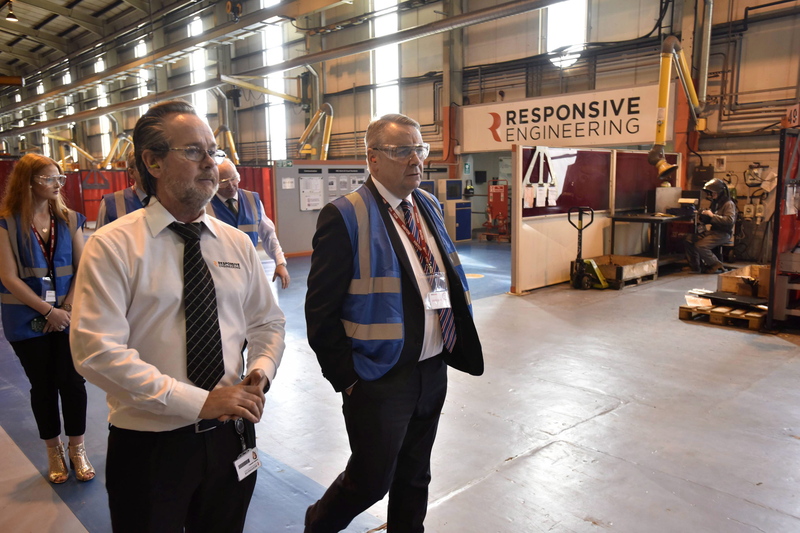 North East MP Alan Campbell visited Responsive Engineering to find out how the firm is using the latest technology to protect cash machines from thieves. 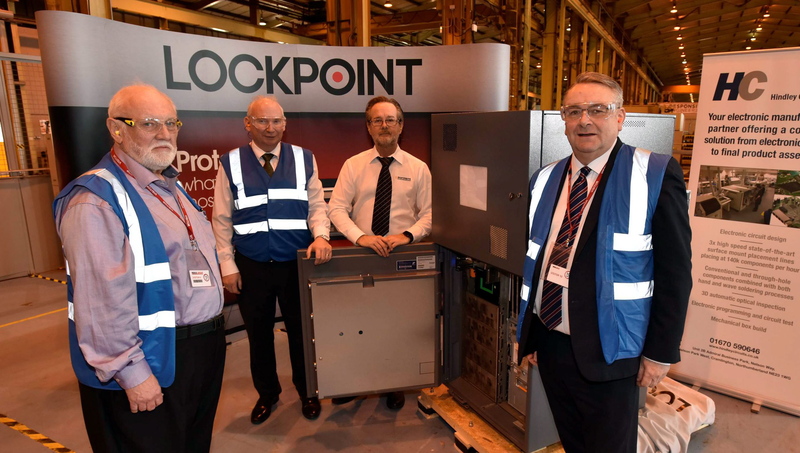 Responsive Engineering is working in partnership with North Tyneside-based Lockpoint to manufacture its Gryphon security device that has thwarted ATM thefts across the country. The Gryphon provides an “intelligent” barrier of steel to bolster cash machines against a variety of dangerous attacks, including explosive gas and ram raids. In gas attacks, the thieves inject gas into the ATM with the aim of blowing off the safe doors so they can access the cash inside. But the resulting explosion can cause immense damage and potentially threaten life. In two recent gas attacks, the safe doors were blown off but the Gryphon’s toughened steel interlocking doors held firm, keeping the four cash cassettes inside intact. Tynemouth MP Alan Campbell is campaigning for a stronger government response to the rise in attacks. He said: “I have noted with increasing concern the apparent rise in attacks on ATMs with both heavy machinery and explosive gas. The latter trend is particularly worrying as it may be only a matter of time before someone comes to significant harm. “For this reason, I tabled a number of Parliamentary written questions on this subject to the Secretary of State for the Home Department and am encouraged to learn that ATM attacks may come on the agenda in discussions with the police in due course. “Today’s fact-finding visit has helped me to gain a better understanding of how the threat can be combatted and the innovative engineering that is behind the Gryphon’s success. 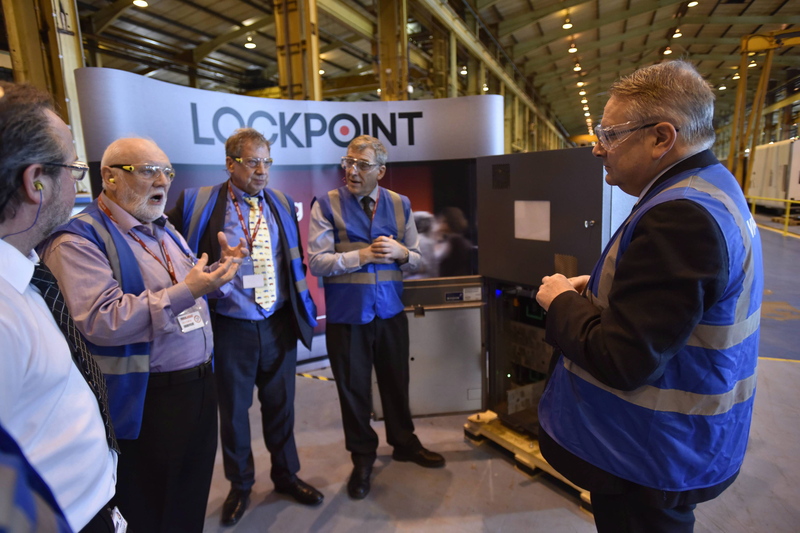 Graeme Campbell, director of operations, Responsive Engineering, said: “During the early stages of the programme, a team of engineers from Responsive Engineering and Lockpoint worked closely together to fine tune the design to ensure product quality would be consistent during large production runs. The Gryphon range was first developed with Lockpoint’s engineering and electronics partners, including Cramlington-based Hindley Circuits, to counter the threat to cash-in-transit teams who were being ambushed when they arrived to replenish the cash machines. It uses a system of interlocking “intelligent” electronic steel doors to make robbery unattractive because no more than one of the four drawers of cash can be open at any time. The sophisticated design of the doors means it is also extremely difficult to break into an ATM, even if a gang rips it out and takes it away with a JCB.